Can you believe it has been over a year since ? 's Final Live? It feels just like yesterday when I was enjoying their antics and looking forward to Aqours. It is a quite a shame then that I didn’t get to enjoy ? 's until near it’s tail end. 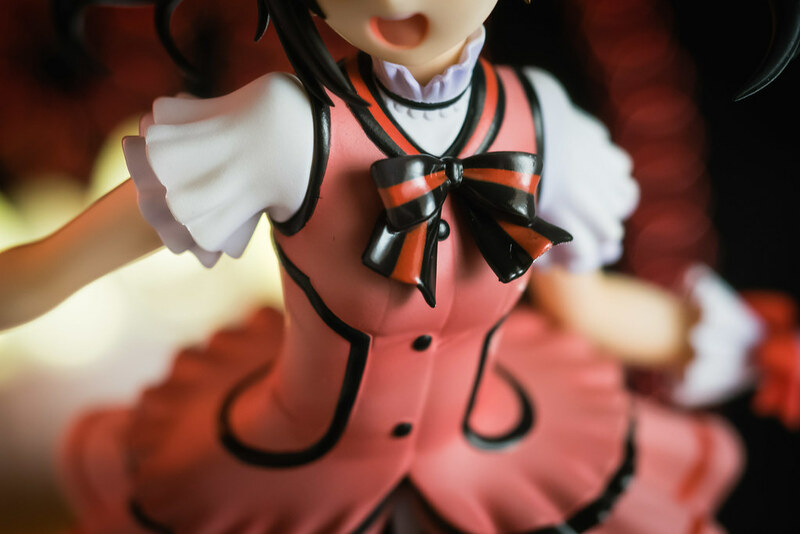 Typically I find there is a disconnect between the time when a new show airs and when figures are actually released. A lot of the time this might end up being years after the fact. I suppose figure manufacturers prefer to play it safe and wait until after a given show has proven its popularity. Typically this is an annoyance as I’m the most excited about a show when I first experience it. As such while riding the hype train, I just wanna buy figures of my favorite characters right away but alas I have to play the waiting game. Luckily for me me jumping late on the Love Live hype train allowed for my wait to be a lot shorter than it otherwise would have been. Rather than waiting for years my wait was reduced to a few months, a great side effect! 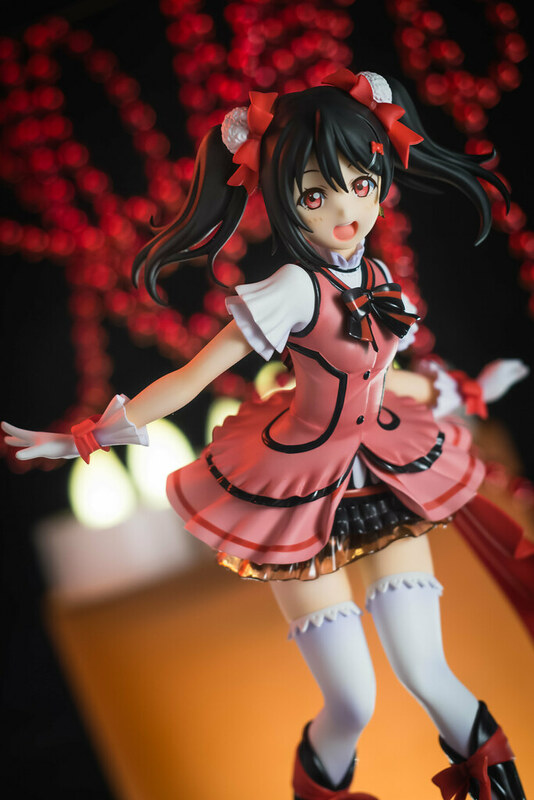 Not too long after I was fully invested I ordered Good Smile Company’s Picnic Girl Nico, a great figure of Nico in casual clothes , Alter did their version along with the other girls, Freeing gave us Nico in her school uniform and Stronger released one in a rather apt frilly idol outfit. 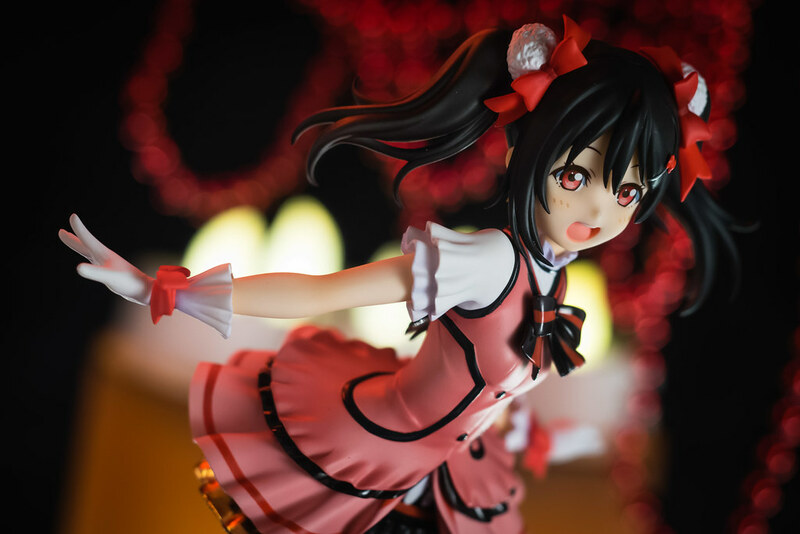 A good time to be if you are a Nico fan, a good time to be if you are a Love Live fan. 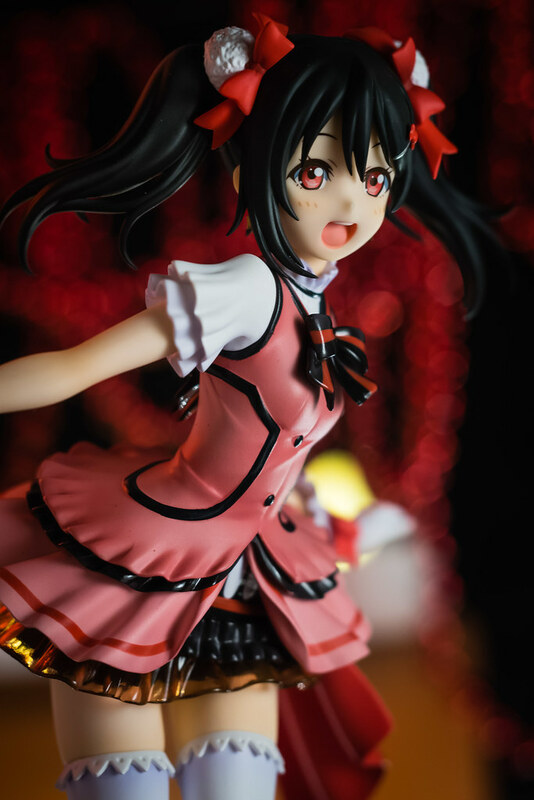 I am a Nico fan, she is in fact “my best girl” from ? 's and part of my favorite subunit BiBi. Why Nico you ask yourself? 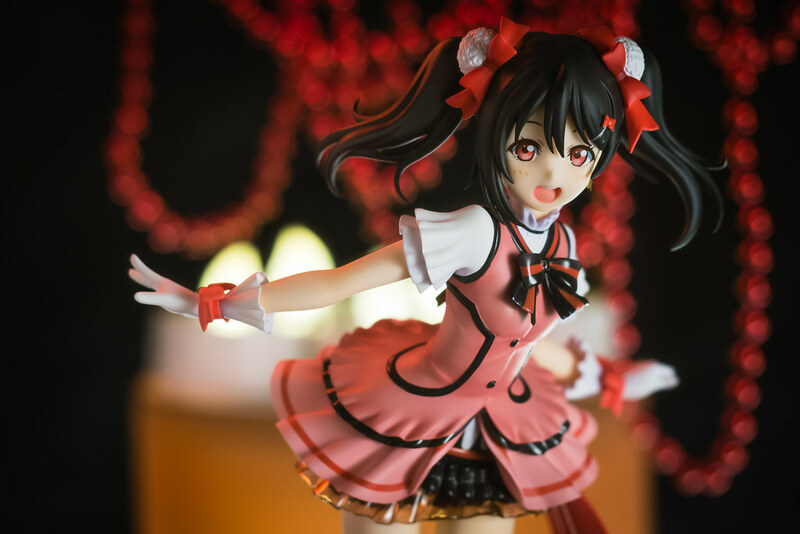 Other girls like Kotori or Hanayo for example might go for a more idealistic, cute depiction but Nico was always a bit more grounded to me. Yes, she tried to act cute and innocent but everyone could tell she was faking it. She would throw airs of grandeur when in reality her life is a lot more humble. She would try to pass herself as being a natural born talent when in truth it was a result of hard work like everyone else. 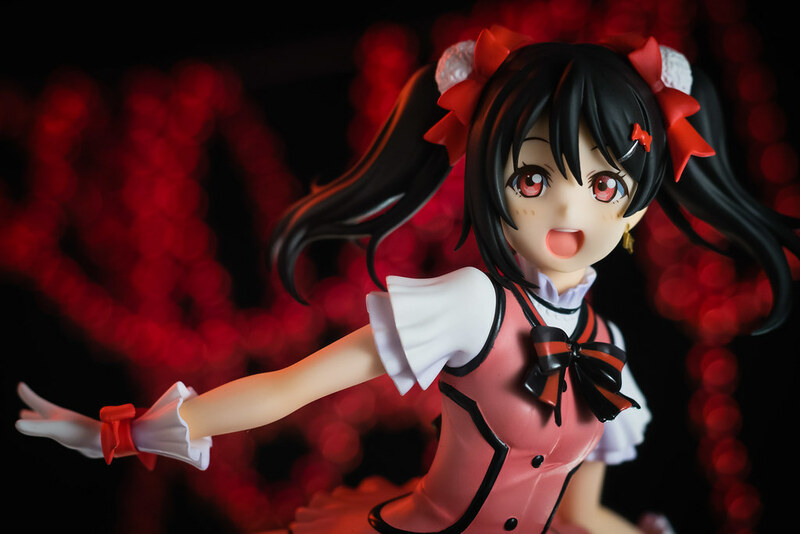 Quite simply to me, Nico feels a lot more real. I can easily imagine meeting someone like Nico, someone who could do the same things as her but can’t say the same for the other girls. Plus, she is very amusing to watch even if she is a bit gross sometimes as Maki was ever apt to point out. 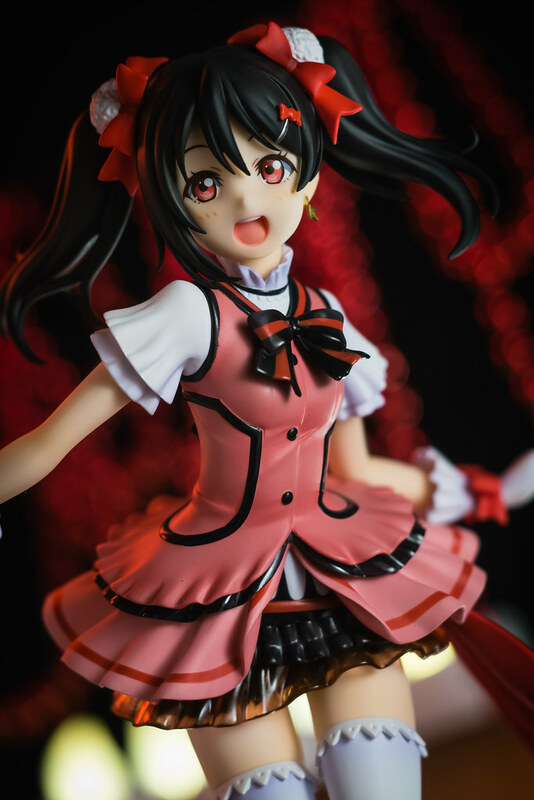 This was my first figure from Stronger so I was a bit apprehensive before I received Nico, specially given the high price since this was part of an exclusive set but it was all for naught as they have done a good job overall. 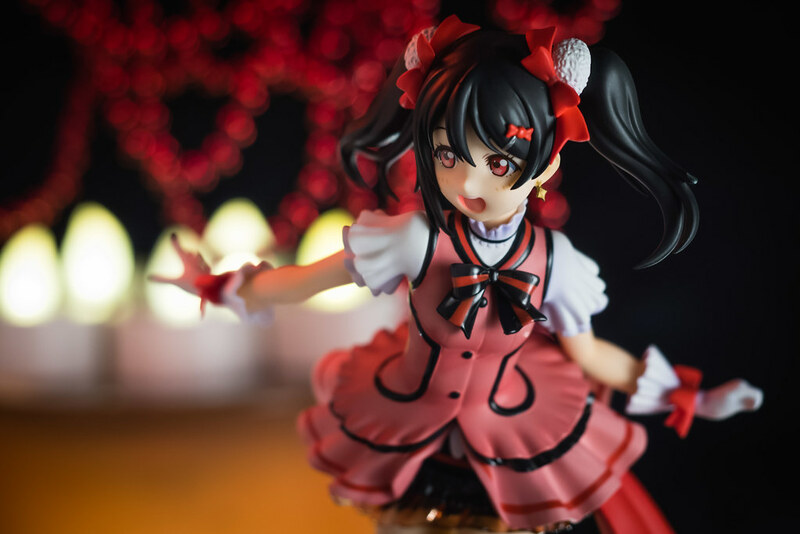 Nico is wearing the outfit shown on the second season of the anime during the climactic final of the Love Live contest were ? 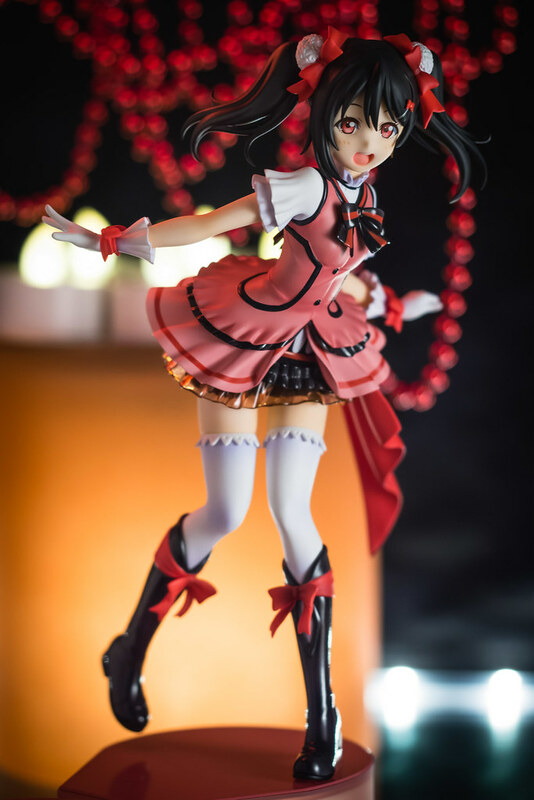 's performed KiRa-KiRa Sensation! that would lead them to take home the winning title. 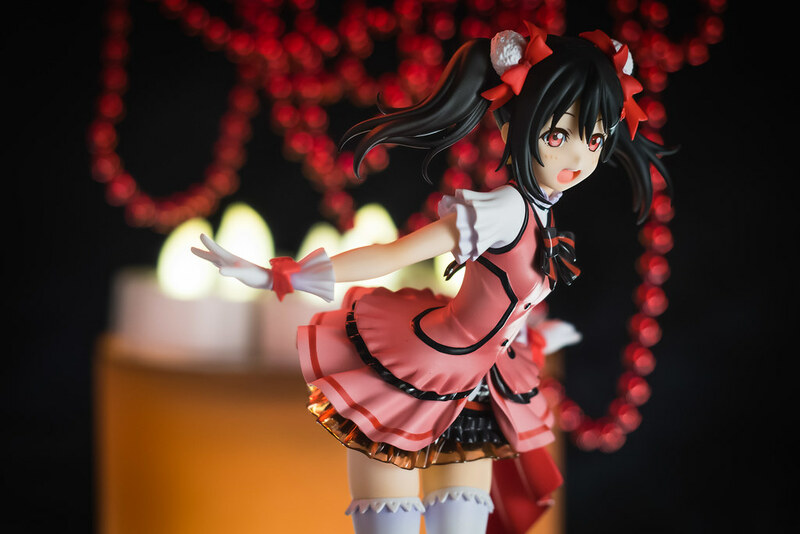 Nico’s outfit is nicely recreated from the PV, all the ribbon accents look good, their movement against Nico’s body along with her twintails add to that wonderful sense of liveliness. The different layers of her skirt are done well, from the bottom underskirt to the neat translucent skirt. 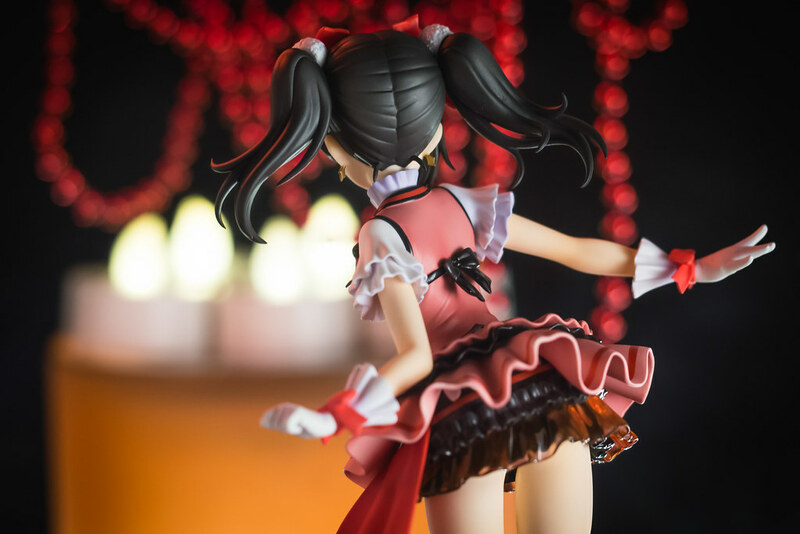 With Nico’s pose leaning forward it also offers a nice view of her nice round bottom. 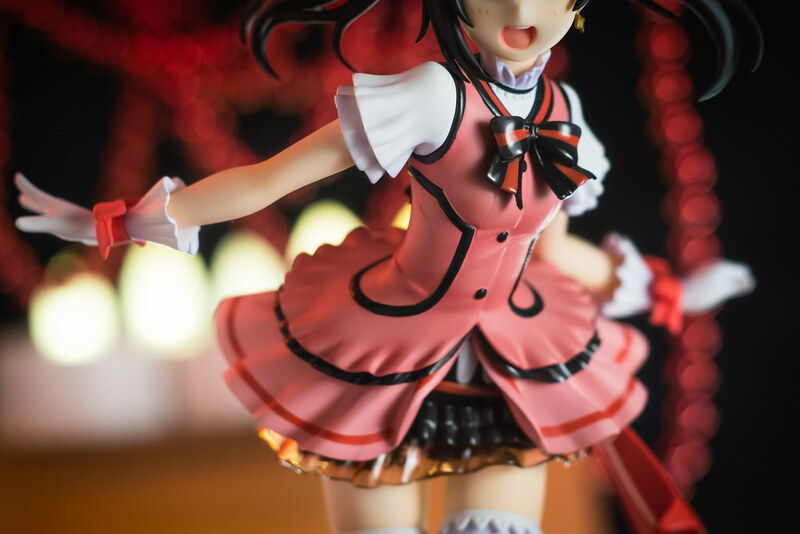 Since Nico is a nice innocent and pure idol she wears white of course. 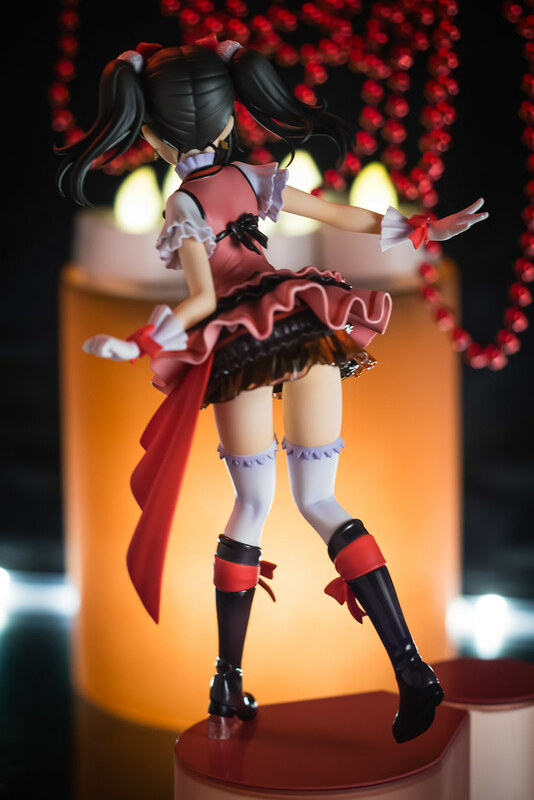 Nico’s thigh highs show off her nice, slim thighs showing just the smallest hint of plumpness. 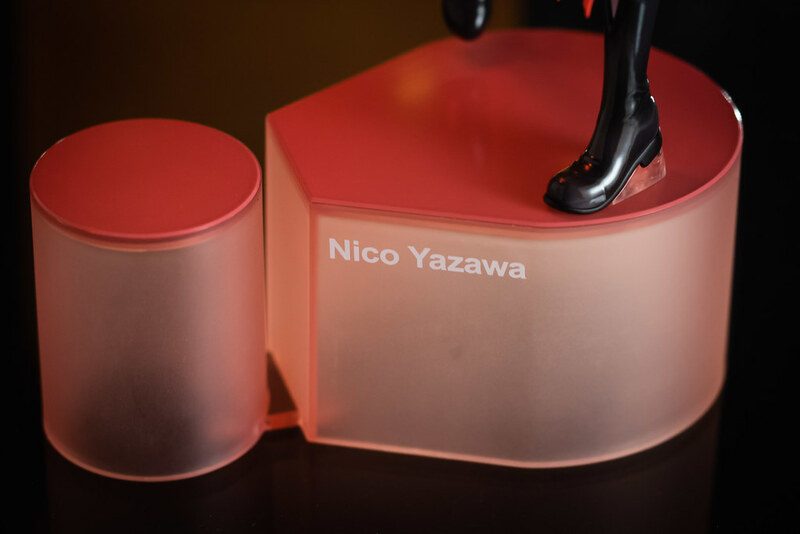 The base comes in the form of a pink exclamation mark, with Nico’s name printed on the side. If you get the full set of all nine girls their bases spell “Love Live!” a nice tough for those completionists that wish to display them together. I am only a bit disappointed given the exclusive nature of this figure by a couple of things. If you look closely some of the paint application is a bit rough in some of the sports such as the buttons on her outfit or the black lines along the hem of the skirt and top. 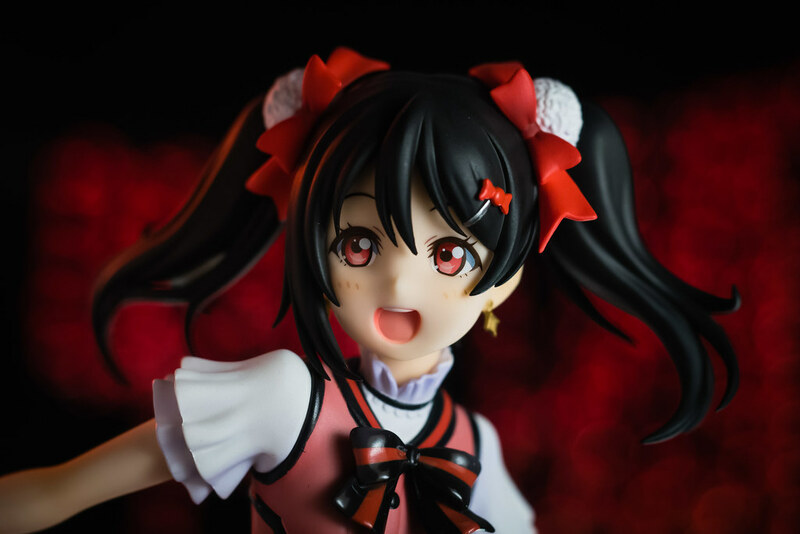 Nico’s hair while sculpted nicely with her trademarked twintails seemingly lacks any sort of shading to my eyes. Taking a look at the whole package this is essentially nitpicking, fairly inconsequential to my enjoyment of this figure. 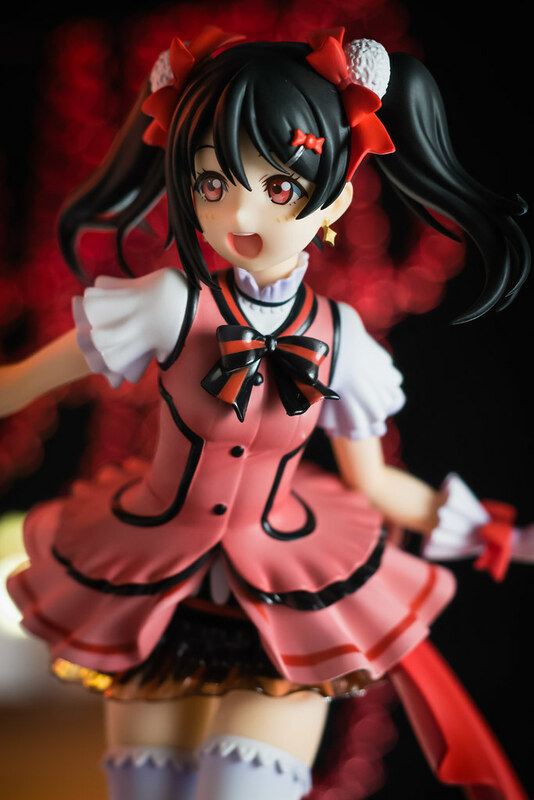 I’m quite happy though, this ticks off the checkbox for an idol outfit Nico. 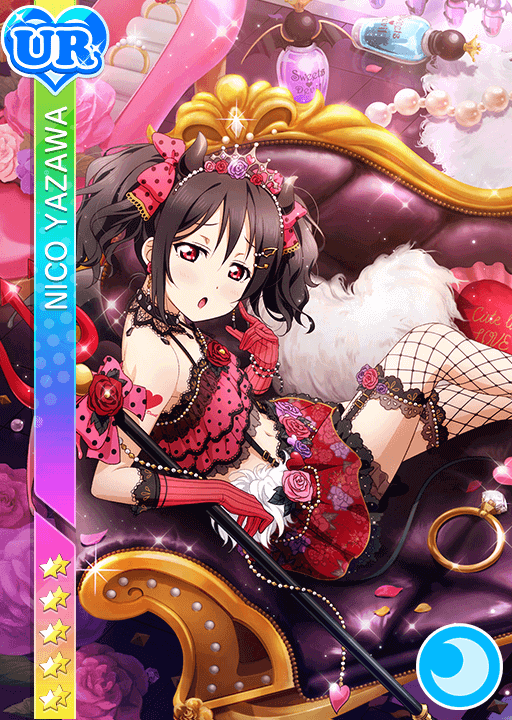 Although I wouldn’t mind one of my favorite Nico UR card, she is after all a little devil at heart. 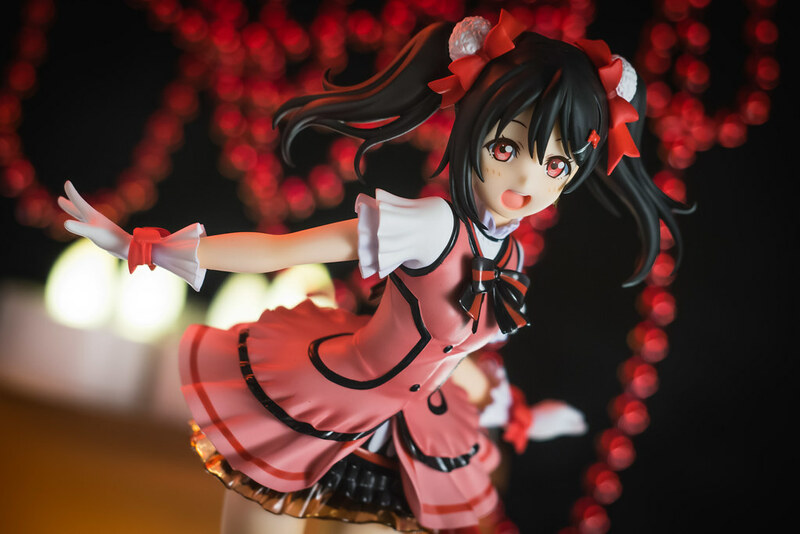 Let’s not forget either, Nico is the number one idol in the universe and she should get dozens of figures!